^ That's reasonable. Did it in Gen 1 for fun. [DOUBLEPOST=1418499793,1418499640][/DOUBLEPOST][QUOTE="Gluxukkah, post: 1483324, member: 35833"]I have also 100%'d Minecraft 360 Edition and Lego Marvel Super Heroes. 2 away in Skyrim until my internal storage (where my MAIN character was) crashed and I lost him. 3 away in Harm's Way, I just need the multiplayer achievements (hint hint). 2 away in Assassin's Creed II, but both are related to doing the same thing, so that should be *easy*. 5 away in CoD: Modern Warfare 1, but that's just beating the rest of the story on Veteran. 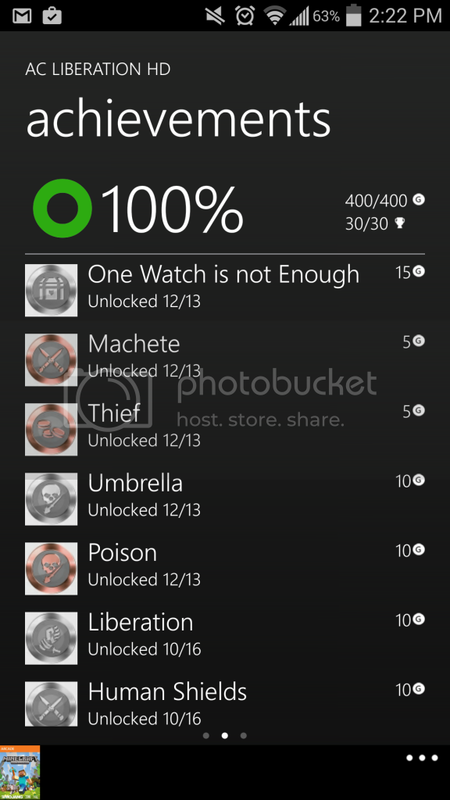 Liberation, the best ac game imo, congratz on getting 100%! Man. I kind of want to play 'Kingdoms of Amalur' again, and I'm totally ready to take on the hard difficulty (last achievement I need to complete the game). Too bad I lent the thing to a friend who lives a couple hours out of town. I have 100% in Fallout: New Vegas, two years after the fact and only because I was so close anyway. Meanwhile 731+ hours in Skyrim and only 75%, though this is partly due to no buying the Hearthfire DLC and probably bugged achievements. There is no way I have not done 10 sides quests. I DID I!! 3RD TIME'S THE CHARM!! 100 WAVES OF ENEMIES DOWN! 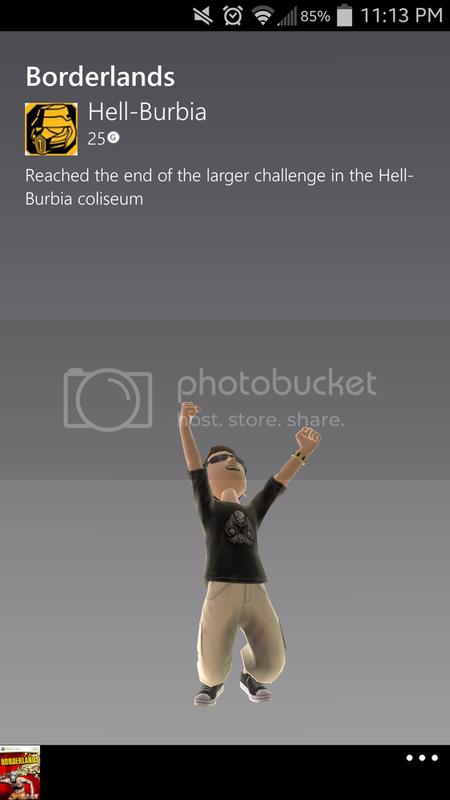 I FINALLY GOT THE ACHIEVEMENT! !